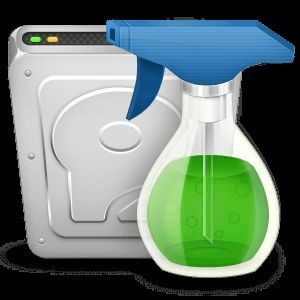 Wise Disk Cleaner is a freeware disk / Windows clean-up utility that can clean up your system and save HDD space. 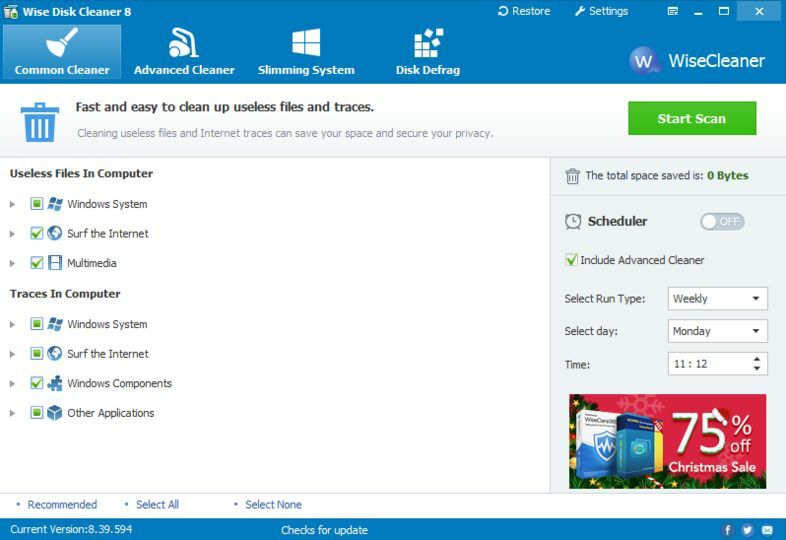 The software will remove Internet history, cookies, autocomplete form data and other data that accumulates from Internet usage. It supports the Internet Explorer, Firefox, Chrome and Safari web browsers. 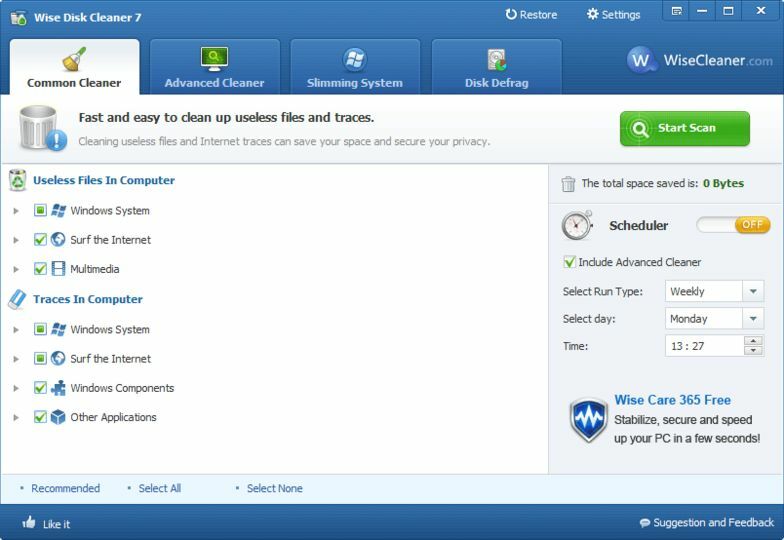 It will also get rid of other temporary files and log files on the system, reducing used space.